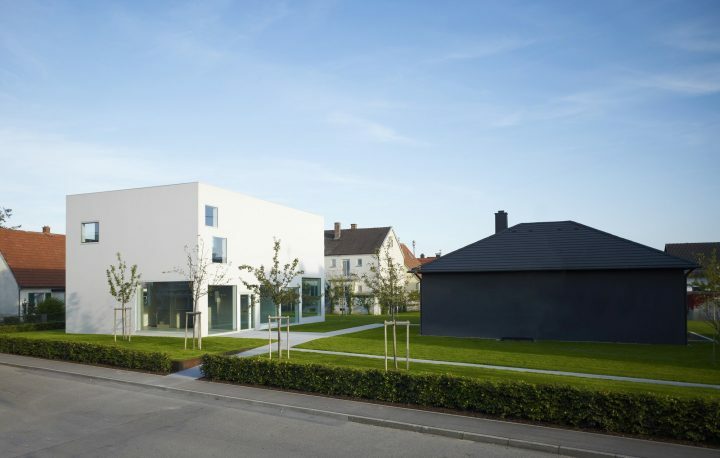 Located in the village of Burlafingen, Germany, on the outskirts of Ulm, the Walther Collection is a compound of four buildings set on a quiet residential street surrounded by open fields. The buildings are arranged in a quadrant on a carpet of grass, and are linked by paths of basalt. The three principal buildings are organized in an irregular triangle, and each is designed to express a specific architectural type in which the exhibitions are presented. The fourth building is a three-story residential building which houses the office, a library, and an apartment. This ensemble of buildings is designed to blend with the residential character of the village. With the exception of the newly commissioned central exhibition structure, whose main gallery is underground, each of the buildings is based on existing vernacular architecture. To support its curatorial vision, the galleries of the collection have been proportioned to respond to the different scales of photography and video. The galleries are distributed around three architectural typologies which house the exhibitions. 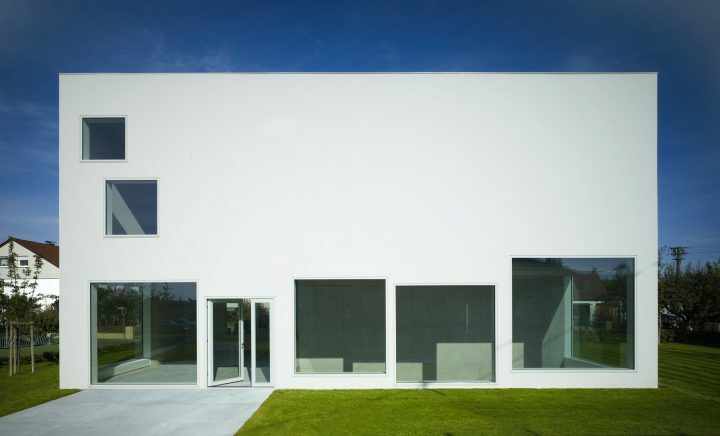 The White Cube, which is the main building of the collection, is based on the idea of transparency. 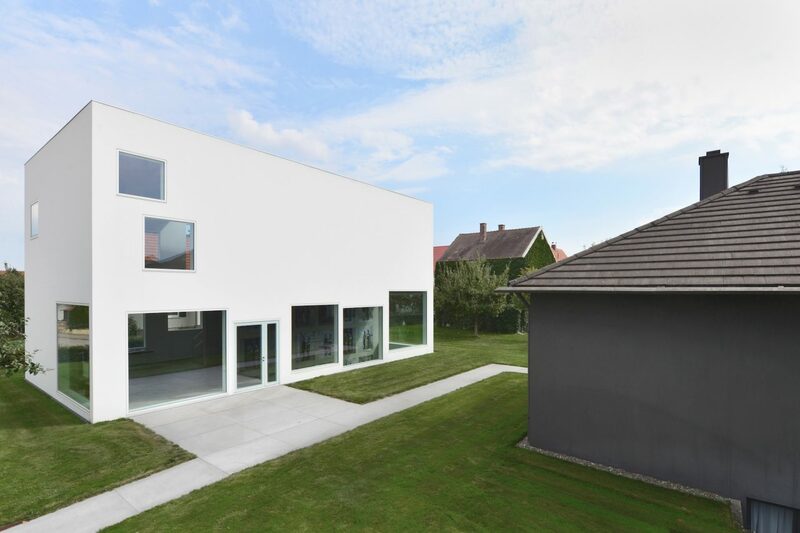 Designed by the Ulm-based architectural firm Braunger-Wörtz, this is a light-filled three-story structure. It houses a glass-fronted foyer overlooking the compound and the surrounding streets; an expansive, open 5,000-square-foot gallery on the sub-ground level that can be seen from the first floor balcony; and a smaller, 1,500-square-foot gallery and reading room on the second floor. 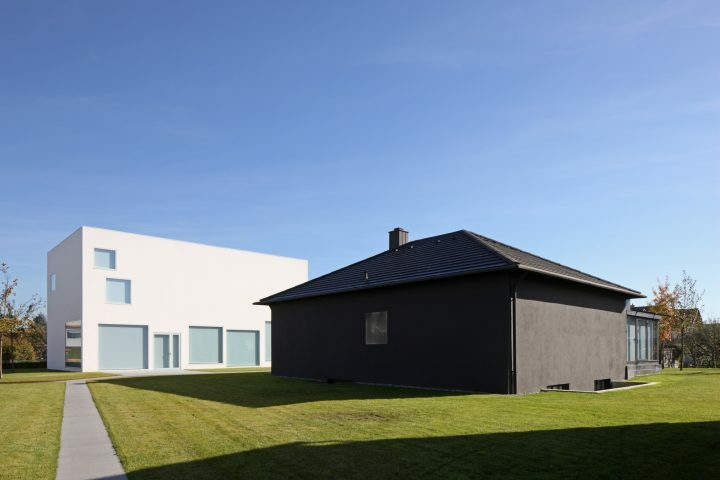 Each year, The White Cube will host a program of thematic exhibitions in the large main gallery, and from time to time, small-sized thematic exhibitions, new acquisitions or a commissioned project of a single artist in the second floor gallery. The Black House is a one-level, bungalow-style structure with no windows on the sides of the building facing the street. Constructed like a minimalist monolith, the space is lit by a glass curtain wall in the back and is divided into three galleries. 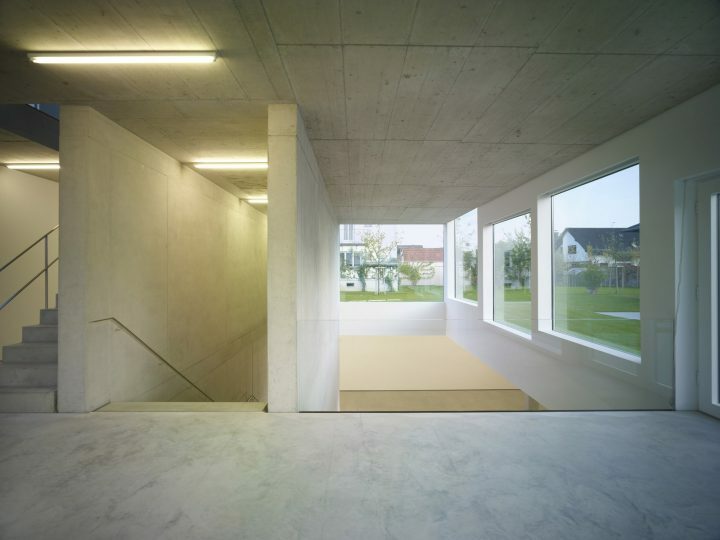 This building is used for the presentation of serial, performative, and conceptually based photography. 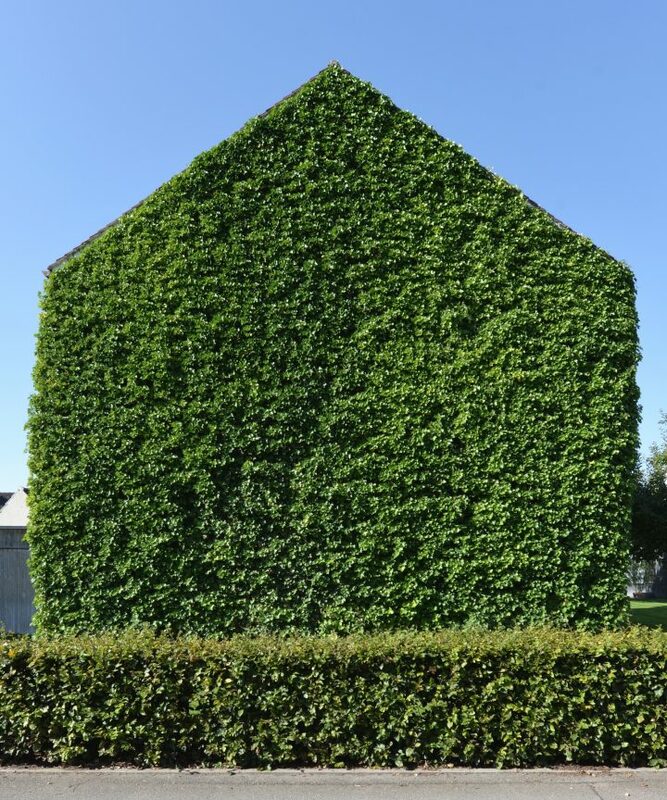 The Green House is a renovated, two-story former residential home in the region’s vernacular style. 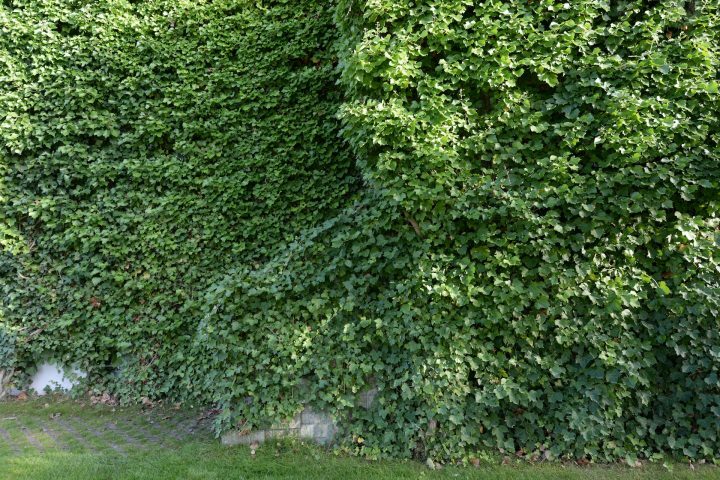 Its façade is covered with green ivy. Except for the remodeled interiors, consisting of two modestly scaled galleries on each floor, nothing of the exterior architecture has been touched. 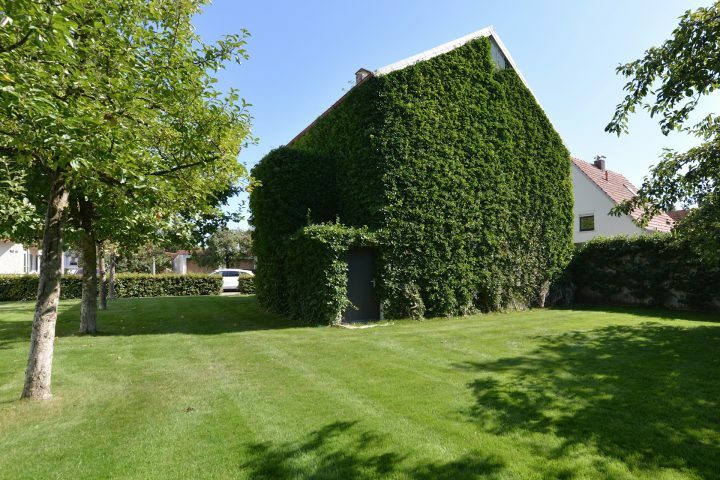 The house remains exactly as it was built more than half a century ago. The intimate scale of The Green House galleries is used for small-format works, either for comprehensive single-artist presentation or for two-artist comparative exhibitions.